If you are hearing a click instead of a bang when you pull the trigger you have a problem. A big, likely nasty, and dirty problem. Your gun is likely caked in carbon, with a bit of lead, and some brass shavings to finish it off. If you want to hear more bangs than clicks you best grab a cleaning kit and get to scrubbing! It may not be fun to get in there, scraping and scrubbing carbon, but it is necessary. 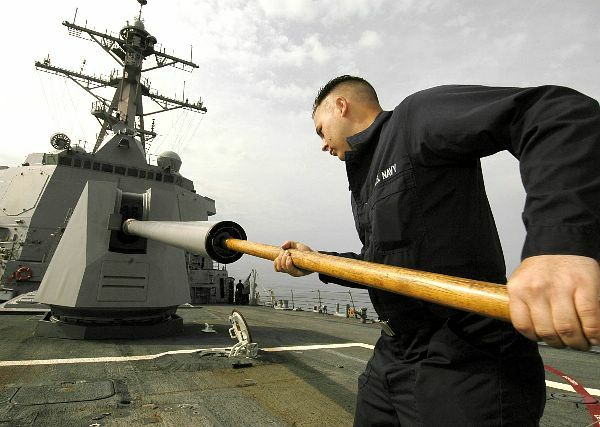 Guns are like any other machine, they needed regularly scheduled maintenance. To make this possible you’ll need a best gun cleaning kit. With the gun world being as big as it is you have plenty of choices when it comes to kits. The problem is some are crap, and some are great, and some are in-between. Our goal today is to help you completely avoid the crappy kits, and even the in-between kits. We want you to leave armed with the knowledge to pick a great kit, to pick the best kit for you and your firearm. When Do I clean my Firearm? Before you choose a firearm kit you need to know when and how to use it. This will largely depend on the firearm since some are less picky about being clean than others. There are also different priorities for different weapons. In terms of priorities, your concealed carry gun and your home defense gun should be the most important weapons. These weapons are the ones you risk your life on. With that in mind you should get pretty of practice with them, and with practice comes the need for cleaning. With a self-defense firearm you should be a priority on cleaning and lubricate the firearm anytime it's heavily used. One priority with a concealed carry gun is also keeping it clean due to the fact you are carrying it. Carrying a gun tight against the body exposes it to sweat, dirt, and debris all of all kind. In this situation, you have to reach in and make sure the gun is nice and clean on the inside. Firearms used for sporting purposes can be cleaned at a much more casual rate. The priorities are all on you, and how you know the gun. For example, I have a Marlin Model 60 22LR and I know if I don’t clean it every 500 or so rounds it starts to get finicky. Cleaning guns could be an entire article itself. With so many different types out there it’s nearly impossible to give you a detailed means to clean yours. With that in mind, there are some universal truths regarding gun cleaning. First, you need to focus on the chamber of the gun. The chamber being where the round sits before being fired. Apply a brush, some lubrication and get to scrubbing. Next, off you target the rails that the bolt or slide rides on. In this situation, you need to scrub the rails and apply lubrication. You’ll, of course, need to punch the bore with a set of cleaning rods and the appropriate size bore brush. Alternatively, you can use a bore snake. Lastly, you always want to inspect the gun for rust, and dirt built up and deal with as it occurs. Rust can be removed with the proper cleaning solvent and a brass or AP brush. 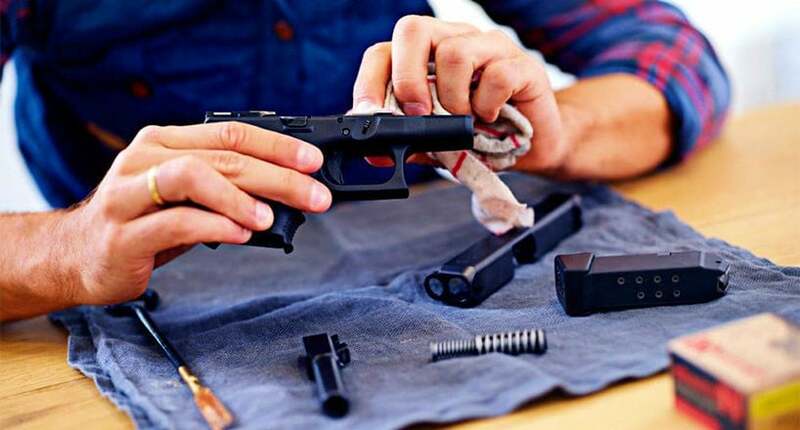 That's the most basic steps to cleaning a gun, with different guns they’ll be different methods to cleaning them and you should certainly follow your manual's instructions. How Do I pick a Kit? There are universal kits that are large and perfect for big collectors, but if you only have a few guns these big kits aren’t necessary. Instead, you have so many options out there today that you can pick and choose a kit designed specifically around your gun. This is often the best way to choose a kit. This means you’ll have specialized tools you’ll need to specifically deal with your firearm and get it the cleanest it can be. You also want to pick a kit from a recognized company with a history of success. If you’re new to guns this can be a bit tricky. How do you know what works? Well, the good news is you don’t have to. As someone who spent decades shooting and cleaning guns, I’ve invested tons of money into cleaning gear. I’ve gone through lots of bad to find the good, and I want to show the good to you. Here are a few of my favorite kits from my favorite companies. Real Avid is one of my all-time favorite companies. I’m actually friends with several of the good guys that work there and they produce some of the best purpose built gun cleaning kits on the market. ​This specific kit is for really any modern semi-automatic 5.56/223 rifle. For most of us, that means the AR 15, but it could also be the Ruger Mini 14, or some 5.56 AK variants. The Real Avid kit does come with a Quick Reference Field Guide for cleaning the AR 15 rifle. ​This simple guide is illustrated for easy cleaning and fits in the kit with ease. The kit comes with a complete set of cleaning rods and a series of brushes that attach to the rods. This includes an AP brush, a chamber brush, and a bore brush. ​On top of that, you get a patch tip, a pick, and a series of star-shaped chamber pads. One of my favorite pieces of kit is the is the included scraper tool. This tool allows you to get in deep and pick that bolt clean of carbon. 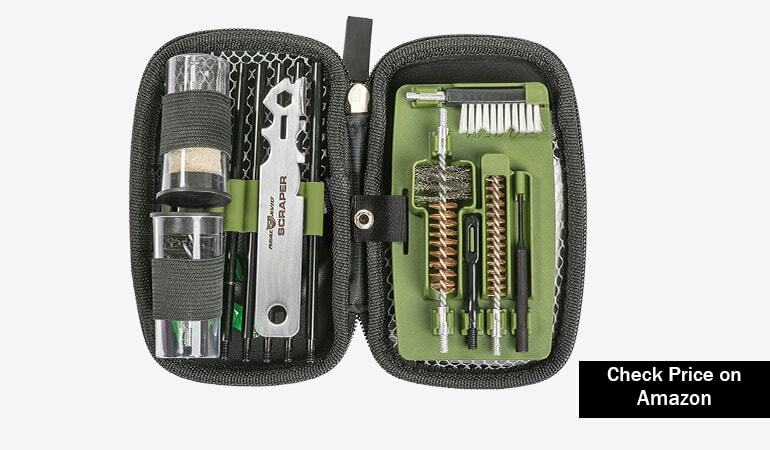 The kit comes packed in a small zippered weatherproof, ballistic nylon case that's easy to carry and well organized. ​For all, you hard-hitting, heavy steel shooting guys and gals the Real Avid Boss 7.62 kit has you covered. The 7.62 is a popular projectile choice and has found its way into several different guns and several different cases. 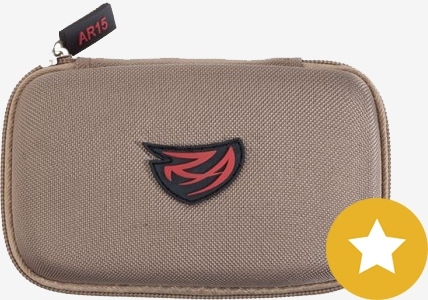 ​This kit is perfect for the AK owner, the M1A shooter, or for any of the dozens of different hunting rifles chambered in calibers like 308, 30-06, 7.62 x 54R, and 300 Blackout. 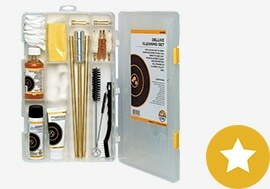 The kit comes complete with a series of cleaning rods, brushes, bore and chamber brushes and more. ​There is also an 11 function carbon scraper included in the kit. It's perfect for really digging and getting that cheap Russian steel cased ammo crud off an AK bolt. The scraper is perfect for just about any bolt, and will easily cut your cleaning time in half. The Real Avid boss kit is expansive and includes a gas tube mop, and a gas tube nylon brush for getting your AK series rifle super clean. This handy little addition is perfect for deep cleaning. Just like the 5.56 kit, the Real Avid Boss kit comes with a handy little carrying case that fits perfectly in any range bag. ​Handguns are all quite similar. The same kit you clean your Glock with can clean your CZ 75. The differences between the guns are minor and the same kit can really do it all. The Handgun Boss cleaning kit from Real Avid is perfect for a wide variety of guns. The kit includes brushes for 22 LR, 357/38/9mm, as well as 40 S&W/10mm auto, 44 and 45 caliber handguns. 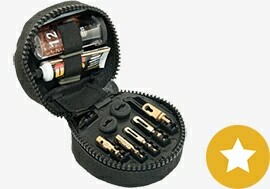 The Real Avid Handgun Boss kit is a best handgun cleaning kit. As the end user, all you need to add is a small rag and a little bottle of lube. ​The kit comes with eyelets for patches and 5 patches for getting a nice and shiny bore. The kit has two cleaning rods that add up to 9 inches so cleaning most barrels is simple and effective. The kit is small, easily stored, and comes with a fitted kit. It's hard to go wrong with the Real Avid Handgun boss kit. It’s small but capable. It’s also surprisingly affordable. ​Otis is a company that started at ground zero and have built themselves into one of the premier firearms cleaning companies. Otis was the company who made the cleaning kits for my Marine issued M4 rifle. Otis cleaning kits are robust, compact, and utterly dependable. ​This specific kit is designed to be compact, but it's also designed for rifles, shotguns, and pistols. To me, this is perfect for the diverse gun owner who brings multiple types of guns to the range. 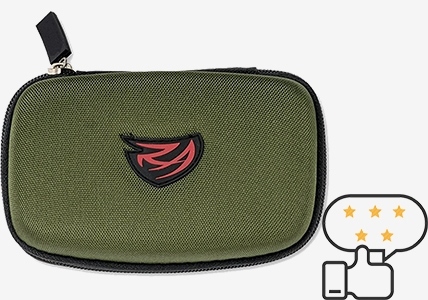 It’s compact enough for the cargo pocket, or for a range bag and allows for quick cleaning at the range if necessary. ​It's perfect for tactical training classes where you are putting round after round downrange with just a little downtime for cleaning. The Otis Tactical kit uses Memory Flex cable instead of cleaning rods. The cables are flexible and it comes with three total Flex cables, and each can be connected for extra length. ​The Memory Flex cables are 8 inches, 30 inches and 34 inches total. This is plenty of length for every rifle and shotgun I own. 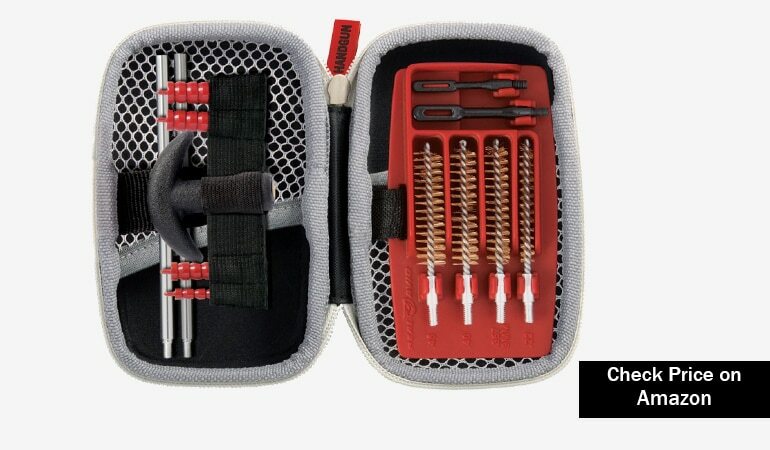 The kit comes with bore brushes sized for 22/.223, .270, .30/.308/30-06/30-30, .38/9mm, .45 cal, and 12 gauge. There is also eyelets for running bore swabs, and the kit comes with both bore swabs and a little lubrication and cleaning oil. 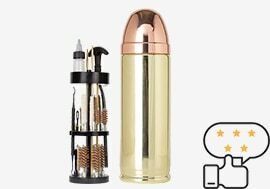 This is the smallest and best universal gun cleaning kit on the list, so if size is a concern here is your solution. If you need an ammo cans worth of cleaning supplies for your collection then the Allen Company has your back. This massive kit gives you 65 pieces worth of cleaning gear. You get absolutely everything with this kit. ​There is jigs, brushes, and eyelets for pretty much every standard rifle caliber, pistol caliber, and the three most popular shotgun gauges. You get tons of cleaning rods, brass brushes, and an AP brush. ​Honestly, there is too much to list here. There is just a ton of this kit. Check out the companies website for a full list, it would just take up too much room in this article. The box comes with two trays and the kit is organized into fitted trays for easy organization and storage. 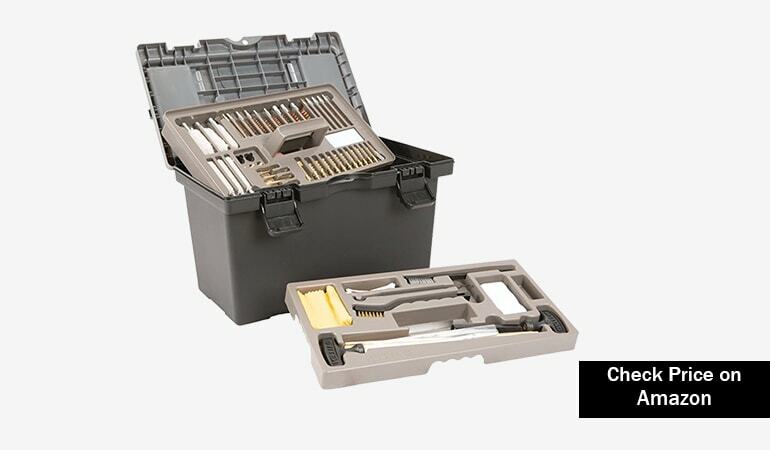 The Allen Company Ultimate kit has plenty of room for adding your own specialized gear as well. You can add a nice size bottle of CLP, some Allen wrenches, and minor gunsmithing tools. The Allen Company kit comes in what is basically an ammo can, and it provides shooters with the ability to lock their kit and keep the kids out. The kit is large, but not obnoxious. 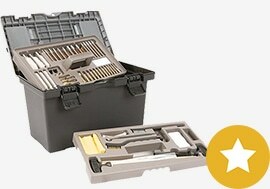 It compliments a range bag well but is more or less an at-home toolbox for deep cleaning. 15" x 10" x 8.75"
​If this doesn’t bring a smile to your face you're not a human. 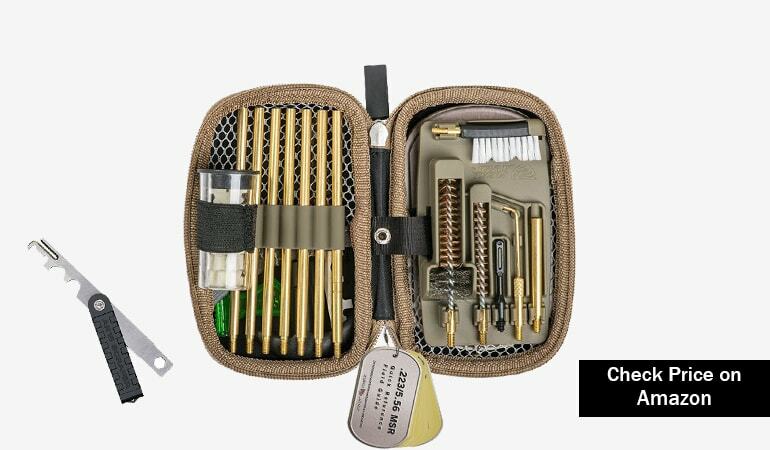 This simple universal cleaning kit comes stored in a faux 9mm shell. Inside the shell, the cleaning kit is neatly organized into a circular rack. This neat cleaning kit doesn't just look cool, but the circular rack is quite functional and handy. ​The kit’s outside case simply unscrews at the projectile and you can pull the kit out and get to cleaning. This kit comes set up for most common calibers. This includes 12, 20, and 410 shotguns as well as 45, 38/357/9mm, 40, 30, 270, 22 and 17 caliber firearms. This means you get tons of bore brushes, plenty of connecting cleaning rods, a T-Handle, and 5 different sized cleaning mops. The kit is finished off with an AP brush and pick. There is an included oil bottle, but no oil. 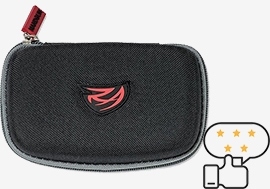 The kit is certainly more an at home kit, but the compact case is easy to throw in most larger range bags. What I like is that it actually adds to my gun room in term of decor. It’s pretty sweet, and it hides an effective kit. 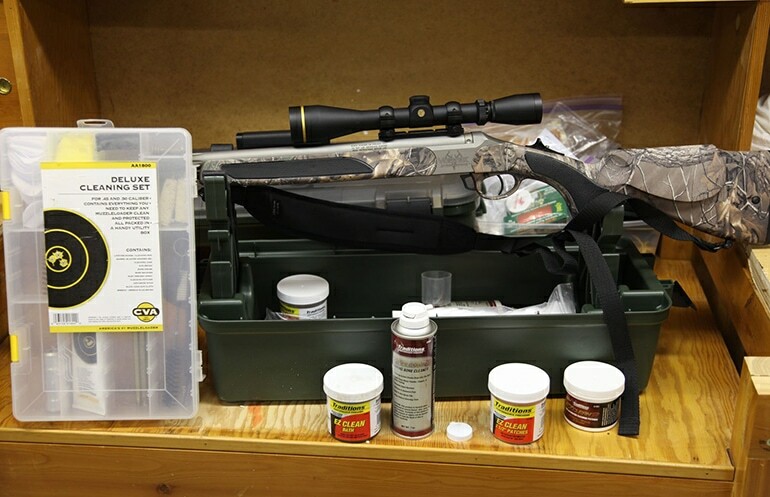 If you are a black powder shooter you may find most cleaning kits for regular firearms substandard. Admittedly, black powder is a lot dirtier than your standard handgun. So with this in mind, you need a specialized black powder cleaning kit. The Blackpowder Products Deluxe cleaning kit is designed solely around muzzleloaders ranging from 45 to 50 caliber. The kit is complete with bore brushes, jags, large and small breech brushes, as well as cleaning solvent, breech plug grease, and spray oil. ​The Blackpowder Products Deluxe Cleaning Kit is perfect for cleaning those dirty black powder rifles. This is perfect for hunters and collectors. The kit itself is simple, but so are black powder rifles. The main focus with black powder is really getting that bore clean and this kit comes ready for all your bore scrubbing, punching, and cursed filled time after a day shooting black powder. Once you have your kit you can start cleaning, but there are a number of accessories out there to make your life a bit easier. These are optional but will make life a bit easier. A cleaning mat is a must-have if you are married and want to stay that way. Cleaning guns can be dirty work, there is carbon, oils, swear words and more flying out of a gun. Carbon gets absolutely everywhere, especially once it's mixed with some CLP. A mat gives you a simple place to set down your tools, your dirty gun parts and to wipe your hands. It should be a little absorbent, and preferably black. Color doesn’t really matter, but it will be black eventually. This particular mat is massive and features the AR 15 and its parts. There are other mats out there, but this one is huge. The added bonus of having an exploded diagram of a AR 15 is cool. The mat is absorbent, and it will soak up all those foul solvents and cleaners. It protects both your guns from being scratched and rubbed, as well as protecting the surface you are working on. While some kits come with a little solvent and a little cleaner you should always have extra on hand. 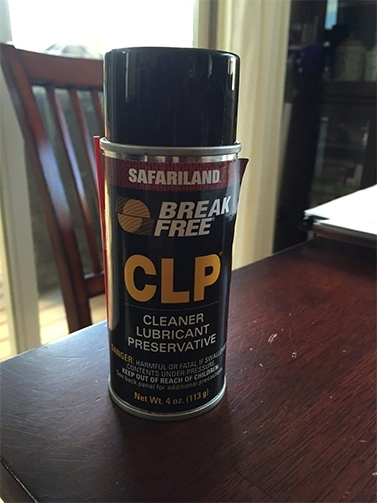 The Break Free CLP is what I used as a Marine and it worked for me. It dives in deep and is a performance-based 3 in 1 oil. 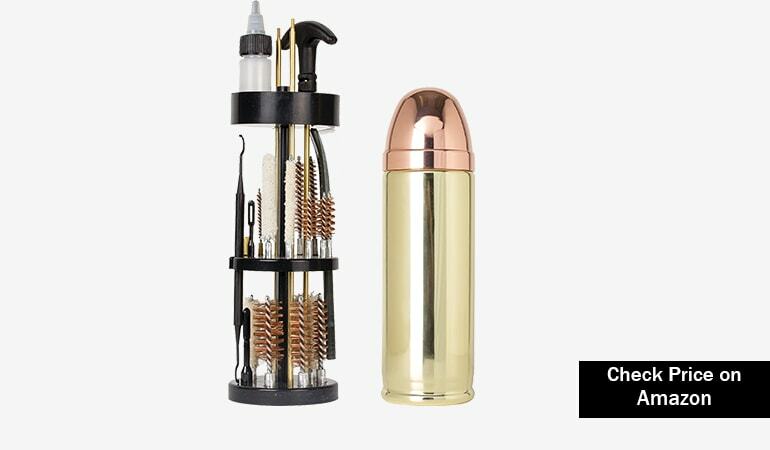 ​3 in 1 oils clean, lubricate, and protect your gun. When it comes to cleaning they break through carbon and rust and make removal of both easy. The oil lubricates as well, ensures reliable operation of your gun, and keeps wear and tear down significantly. Lastly, it protects your gun from rust and leaves a layer or protective oil on the gun. Break Free CLP is also quite affordable, and highly effective. It’s perfect for high volume shooters and for long-term storage of firearms. Who knew giant Q tips would be effective at cleaning guns? Another item from my time scrubbing machine guns. These heavy duty cleaning swabs are actually made to clean guns, unlike Q tips which fall apart on heavy use. These swabs are significantly longer and better suited for getting deep into your guns and removing hard, stuck on carbon. They are perfect for deep cleaning, and another affordable and simple add-on to any cleaning kit. Optics get dirty, surprisingly so. A good habit to have is to show your rifle’s optic some love whenever you clean your rifle. It’s not hard to do, but you shouldn’t use the same gear you clean your rifle with. The solvents and oils aren’t good on the glass. You also don’t want to take an AP brush to the glass and scratch the lens. What you need is a lens pen. Leupold makes a small, but effective pen for removing dirt and grime. Its lens safe, and being made by one of the premier optics manufacturers it should be. Another addition is a simple Microfiber cloth can be handy, and they are a welcome addition to any dusty range day. These are the manliest versions of baby wipes. Instead of providing cleanliness to a baby’s bottom they provide cleanliness to your guns. These wipes are coated with the legendary Hoppe’s No 9 gun oil. They make quick wipe downs simple and fast, plus they make scrubbing really easy. These wipes are really handy if you are already at the range and need to do a quick cleaning to keep your gun’s running during a long day. Cleaning guns is simple, but it's awfully hard if you aren’t equipped with the right tools for the job. The above cleaning kits and accessories will help you get and keep your guns in fighting shape. Guns are like any other machine out there, without regularly scheduled maintenance they will stop working efficiently and effectively. Keep your magazines loaded, your powder dry, and your guns clean.